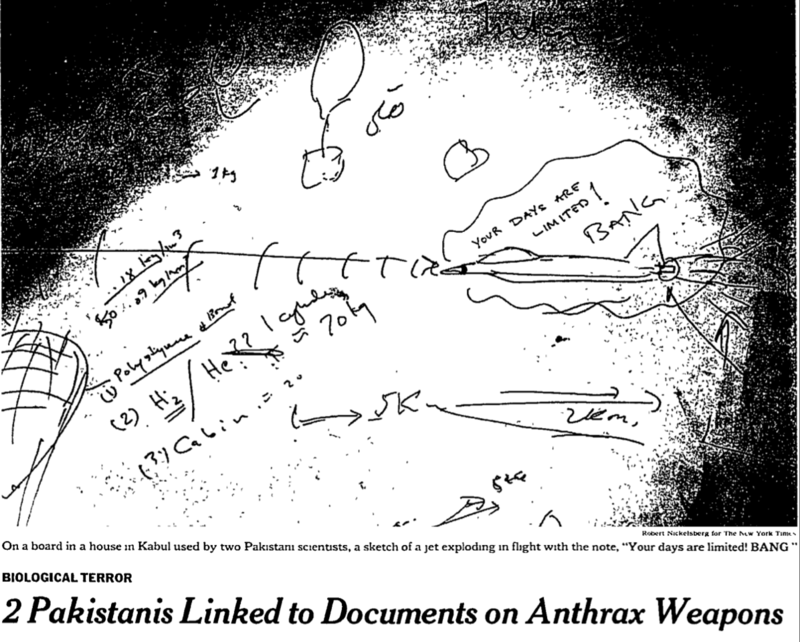 2014 June « CASE CLOSED … what really happened in the 2001 anthrax attacks? * Al Qaeda PhD microbiologist Samar Al-Barq told US interrogators “I made the anthrax” — but then he recanted saying he had lied under coercion. * Where is Abdul Yasin? He taught the fellow how to drive the yellow Ryder van used in the WTC 1993 bombing and it was a phone number associated with his apartment that was used to rent the van. * From a typical "Record of Controlled Substance (II-V) Administered/DIspensed, one knows the protocol number, the person dispensing, and the amount dispensing -- did FBI Agent Edward Montooth and AUSA Rachel Lieber access these records before publicly charging that Dr. Ivins had no reason to be in the lab on those nights? If not, why not? The DEA Controlled Substance records kept by Dr. Ivins were available to the FBI and were admissible in federal court. DXer on * Al Qaeda PhD microbiologist Samar Al-Barq told US interrogators “I made the anthrax” — but then he recanted saying he had lied under coercion. When can we expect the GAO report? Several years ago, at the request of Congressman Holt, the GAO began a review of the FBI’s investigation of the 2001 anthrax attacks. You indicated a time frame of approximately one year to complete. It is now much more than one year and no report, even a progress report, has been issued. Could you please provide an update of the status of your review and when you expect to issue a report. * GAO: Who Wrote “YOUR DAYS ARE LIMITED! BANG” on the blackboard at the seminar in Kabul on anthrax and other weapons. Whose fingerprints were found on the board?